My Copy: I received a copy of this novel from one of the authors (Natalie Anderson) as a gift. Dr. Rory McCulloch returned to St. Bethal's Hospital to discover a truly special gift--twins Pregnant, Kate has come to terms with being a single mom, until the man she loves walks through her E.R. doors. Now she and Rory are snowbound together, on one of their toughest cases yet. Snowbound with the Billionaire is a heart warming story fit for any woman! 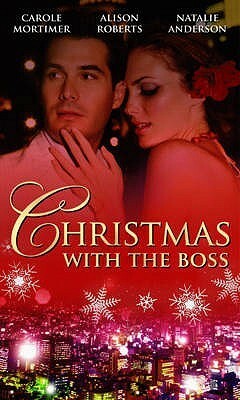 This novel will surely get you in the mood for mood Christmas! I honestly couldn't put it down, The characters are so well described and lovable. I fell in love with everything about it! This story is a classic, It was so interesting to read, I absolutely loved it! 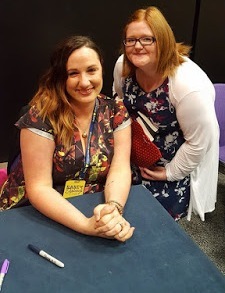 The authors books are defo going to the top of my TBR list! I will never tire of reading Natalie Anderson's novels! How this woman can make me love all of her novels is beyond me! This story touched my heart and I absolutely loved it! Natalie Anderson is the BEST! I love her writing as I know I'll get lost, attached and overly crazy about a book! It's shocking how much happiness you can get from reading one of her novels! What did you think of the review? Have you read of the authors works before?